until today, fixing tile grout or having it changed could cost a fortune and cause a major inconvenience. 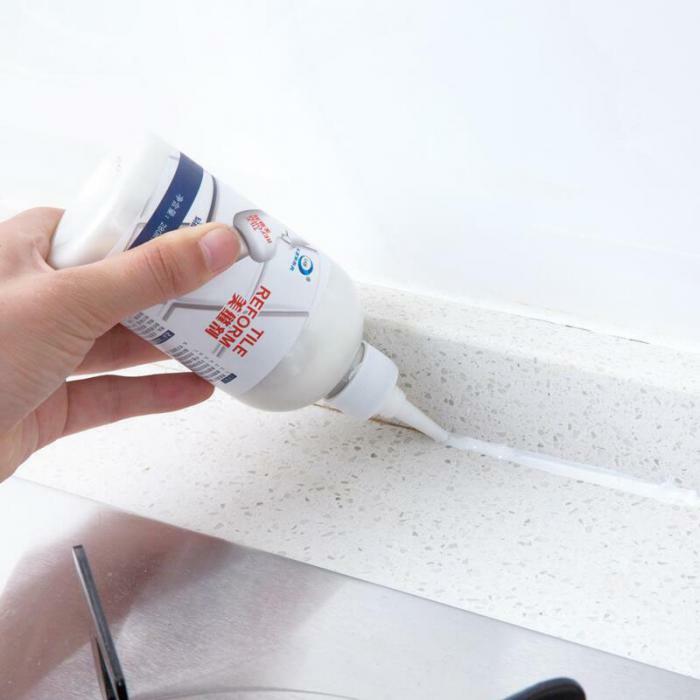 But With this innovative DIY refill Agent, deteriorating tile grout is definitely something you can fix-up yourself! saving you precious time and money! 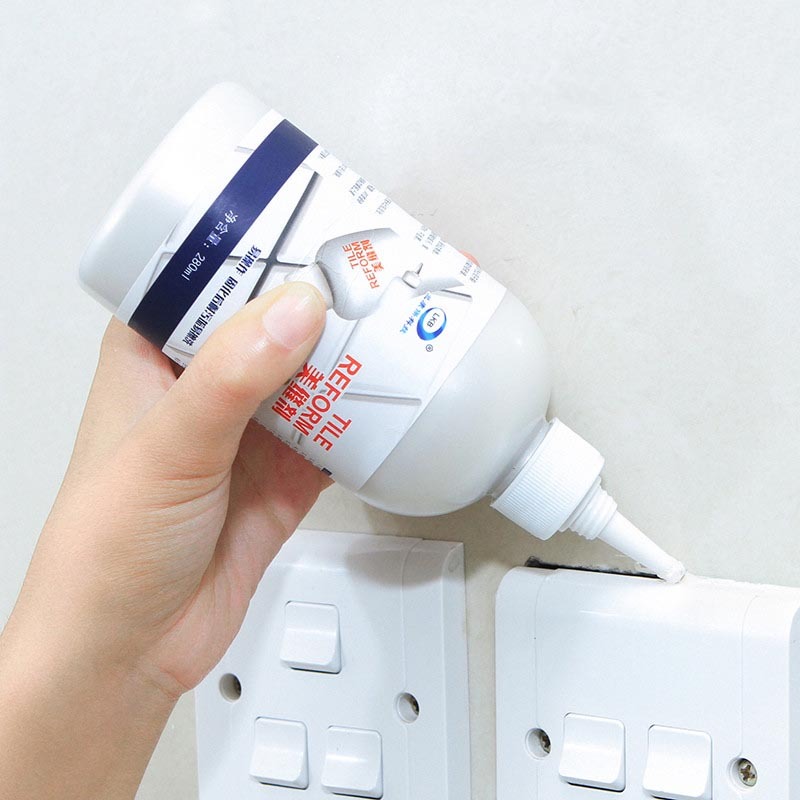 The Tile Reform™ - Tile Gap Refill Agent comes in an easy to apply nozzle with a ready mixed compound. No more messy repair tools and buying new tiles! the compound is also Waterproof and Moldproof! Buy NOW and transform your kitchen and bathroom tiles into looking like new in no time! 100% ready-to-use compound, just shake to mix and you're ready to go. White color grout - fix and cover all those old and dirty grouting stains. Provides waterproofing & anti-fungus/anti-mold protection. 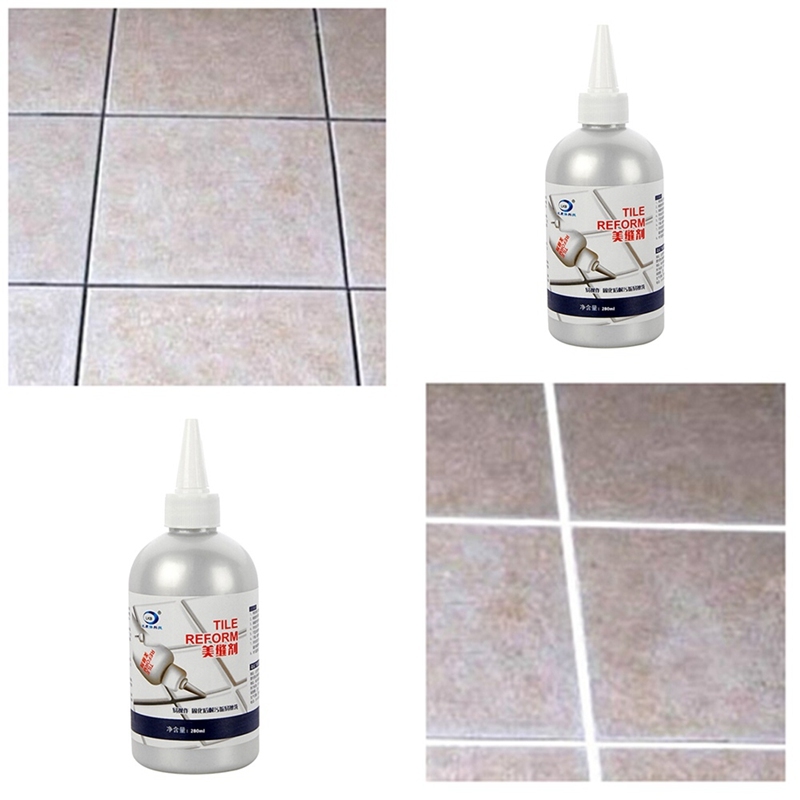 Eliminates the problem of stubborn dirt between tiles. Extra-Large Container (300g) enough for 50+ meters of cover. Clean the tile thoroughly and remove the moisture thoroughly. shake the container for 20 seconds to prepare the mix for use. 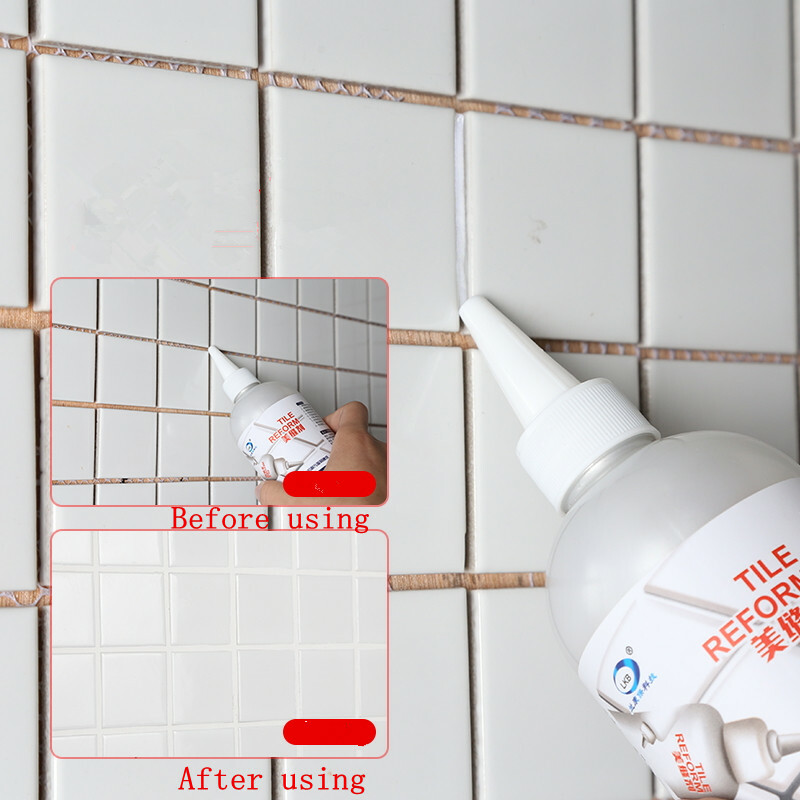 Place the nozzle of the bottle between the tile gaps and gently press the container to draw along the line between the tile. Lightly scrape with a sponge to even the coat & remove excess material. Refrain from cleaning the treated area with warm/hot water for 2 to 3 days.